This is my go-to recipe for beef kababs because they are flavourful but also lower in fat. Using regular ground beef can quickly add up in saturated fat and calories. Switching from regular ground beef to extra lean ground beef can save you approximately 17g of fat and 150 calories (per 100g)! When making the switch to a lower fat ground beef, you will notice a difference in taste since the fat helps the ground beef taste juicier. 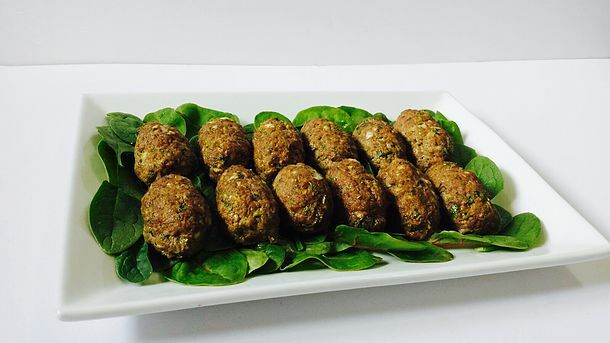 This kabab recipe uses lean ground beef but does not compromise on flavour. The secret is to chop the onions in the food processor, which helps make the kababs juicy and flavourful. I have never heard of the term “scrapple” until now. After doing a quick search, I realized it was a term that refers to a mixture of scraps of meat. 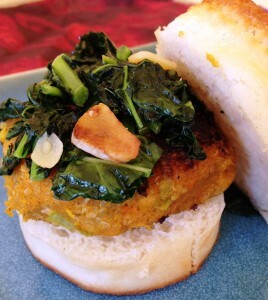 Katie Cavuto, Registered Dietitian of Healthy Bites put a vegetarian and curried spin to create a delicious Vegetarian Scrapple that can also be eaten as a veggie burger. Sweet potato and butternut squash add a subtle sweetness to this dish while also adding fibre and antioxidants to your diet. Chickpeas are an excellent vegetarian source of protein and fibre, which will help you feel full. Kachumber salad is an Indian salad that is mostly made with a mix of chopped tomatoes, cucumbers, and onions. 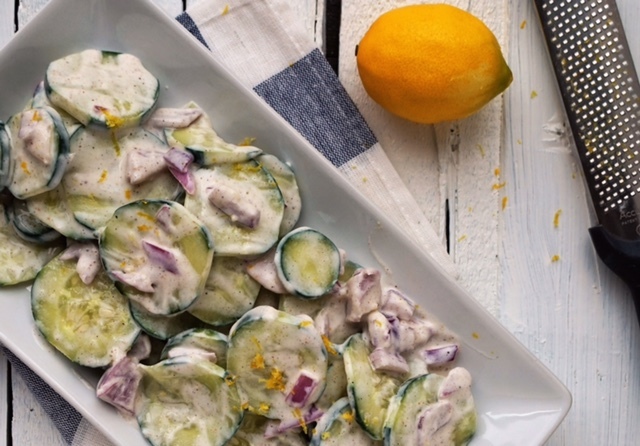 Elizabeth Shaw, Registered Dietitian of Simple Swaps shares her take on Kachumber salad with sliced cucumbers and a yogurt-based dressing. Cucumbers have a high water content, making them an excellent addition to your summer meals to help you stay hydrated and nourished. Using sardines in curry is a unique way to add fish to your meals, which is a great source of omega 3 fats and protein. Canned sardines include softened bones of sardines, which are not only safe to eat but also contribute calcium to your diet. 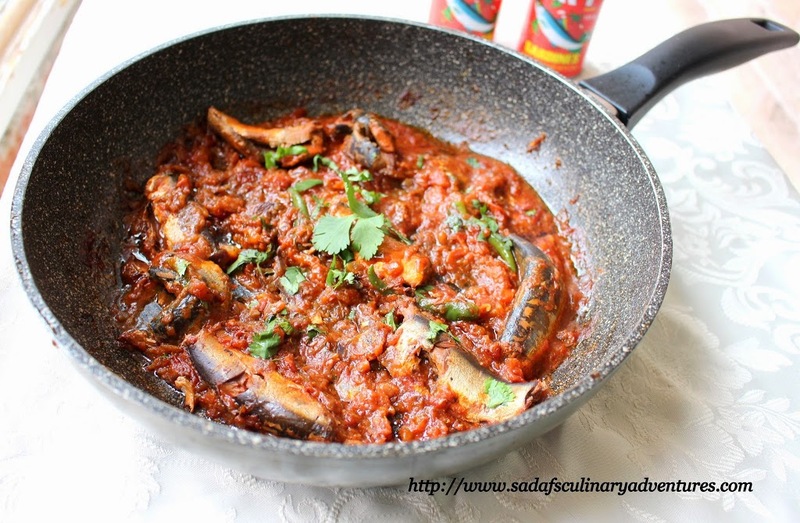 Sadaf from Sadaf’s Culinary Adventures takes a simple can of sardines and transforms it into a quick curry bursting with classic Indian flavours. Meri Raffetto, Registered Dietitian and Founder of Real Living Nutrition Services shares her simple recipe for Indian spiced chicken. Every Indian household has a go-to chicken dish but it’s time to change things up a bit! This recipe for Indian spiced chicken brings together the classic Indian spices but adds a unique twist with the addition of raisins and pistachios. 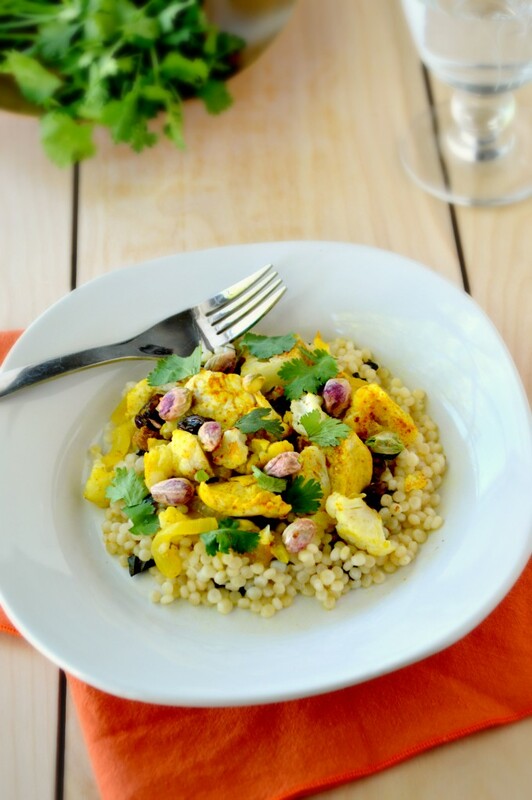 The chicken is paired with cauliflower and served with couscous, making it a quick and easy meal with the perfect balance of veggies, protein, and carbohydrates. Although chicken salad isn’t a classic South Asian dish, I had to share this recipe that jazzes up chicken salad with a little bit of curry and cilantro. This easy make-ahead meal is great for school and work lunches or even for the day at the park! 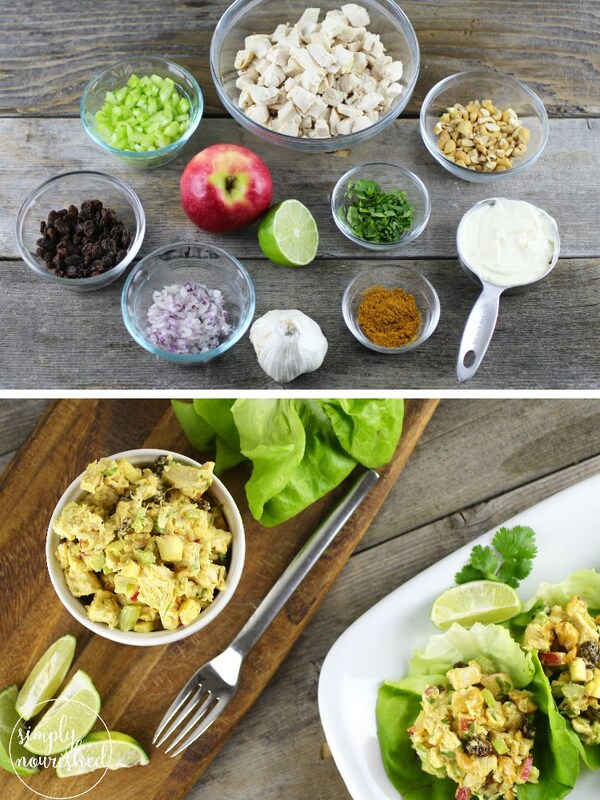 Jessica Beacom, Registered Dietitian at The Real Food Dietitians serves this curry chicken salad in lettuce wraps, but you can also stuff it in whole grain pita bread or naan. How do you make your classic South Asian dishes a little healthier? Or are you stuck trying to figure out how to give your favourite South Asian dish a healthy makeover? Share with us on Instagram and Twitter by tagging us @Masalamommas and @NutritionbyNaz. Thanks for sharing my cucumber salad! So many yummy recipes to try! You’re welcome Elizabeth! I agree – so many yummy recipes with SO much flavour!